I came across some Facebook users stats today on Techcrunch that quite surprised me to be honest. 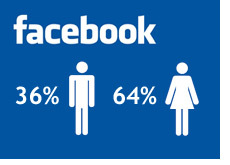 As the title of this article states, almost 64% (63.88% to be exact) of all Facebook users are female. The country with the lowest percentage of total females is the United States, which currently counts 59.89% of its total users as females. 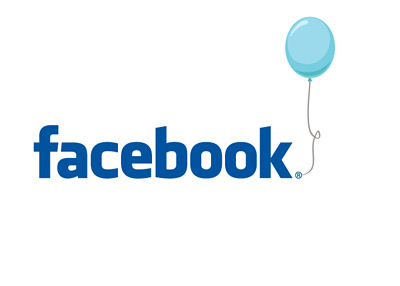 There are currently 18.07 million Facebook users in the United States, and 10.822 million of those users are females. Some countries are well over 70% in terms of female / male split. Spain is at 74.38%, and Ireland is at 72.69%. There are currently 42.966 million Facebooks in the world, with 15.52 million of those users being male, and 27.445 million of those users being female. Here is the link to the data. Considering that Facebook just opened up advertising, this is pretty interesting data to be aware of. The country with the most Facebook users is not surprisingly the United States, with the United Kingdom and Canada coming in second and third. One of the craziest things is that according to these stats (assuming there are not an abundance of people having more than one Facebook account) Canada has 22% of their total population on Facebook, followed by 18% of Norway having a Facebook profile and the United Kingdom having 10% of their citizens on Facebook. Not sure how accurate this data is, but I found it interesting nonetheless.